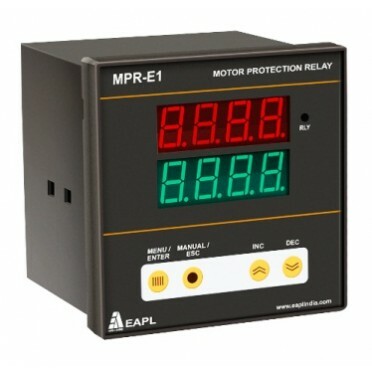 Micro controller based motor protection relay, Bypass of unwanted parameter can be programmed. Relay can be programmed for relay to get energized during healthy or unhealthy condition. Instant values of parameter displayed during healthy status. Reason for tripping displayed during unhealthy status. CT primary can be programmed up to 2500 in steps of 5. CT secondary will be factory set for 5. Features : 31/2 digit, 7segment LED temperature display, Universal input (J / K / PT-100), LED indic.. Features :31/2 digit, 7segment LED temperature display,Universal input (J / K / PT-100), LED indicat..